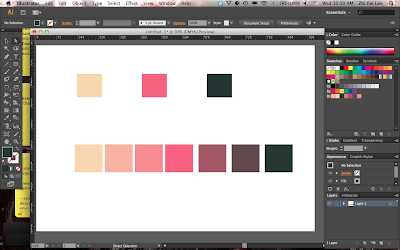 Was trying out this tutorial on How to Design and Vector a Set of Character Poses for a Video Game, when I got stucked at step 7 -- on creating a color palette. 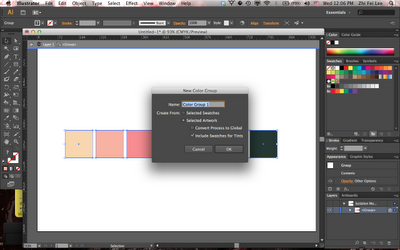 Now I'm not a very frequent user of Illustrator, and I use Photoshop more than any other Adobe softwares these days. Despite that, I'm still not sure whether Photoshop got that Blend tool that Illustrator has. 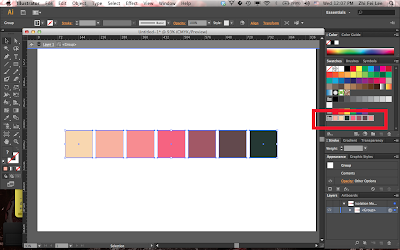 Anyway, I tried to follow Step 7 with my tiny knowledge in Illustrator, and I failed, because for one, the tutorial given was not detail enough. 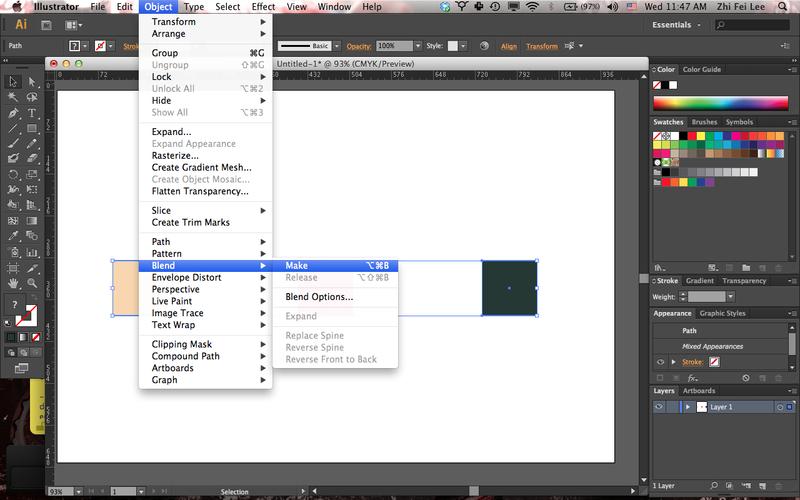 I suppose the tutorial was for someone who's already familiar with the software. After a couple of tries, I've finally created the colour palette using the Blend tool, and I'm writing down a more "detail" procedure on how to achieve that in Illustrator... in case I forgot how to do that in the future. 1. 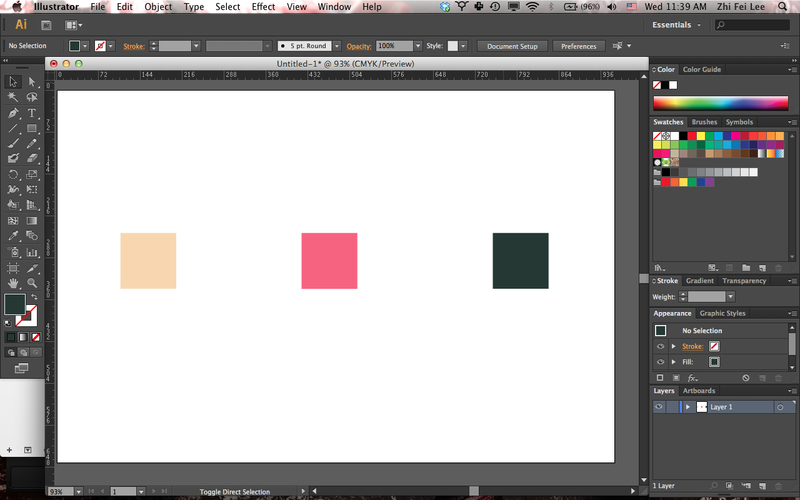 Select three of the colours you wanna create the colour palette from, and create three squares using the Rectangle tool, while filling them up with those 3 colours. 2. 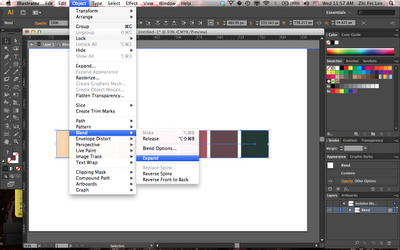 Next, select them all, then select the Blend tool (W) from the tool bar. Press "Enter" to open up the Blend tool's option box. 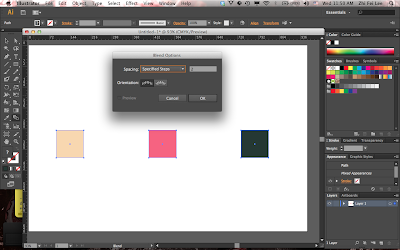 In the Spacing selection, select "Specified Steps", and set the parameter to 2. Then press "OK". 3. From the menu bar, select Object > Blend > Make. 4. 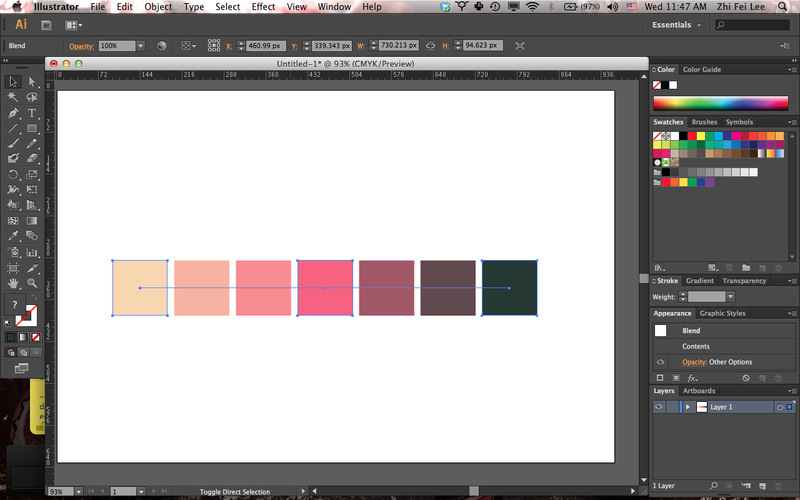 The palette will be formed with two spacing between each colours. 5. Now, to save all these colour palette as a swatches set/group, go to menu bar, select Object > Blend > Expand. 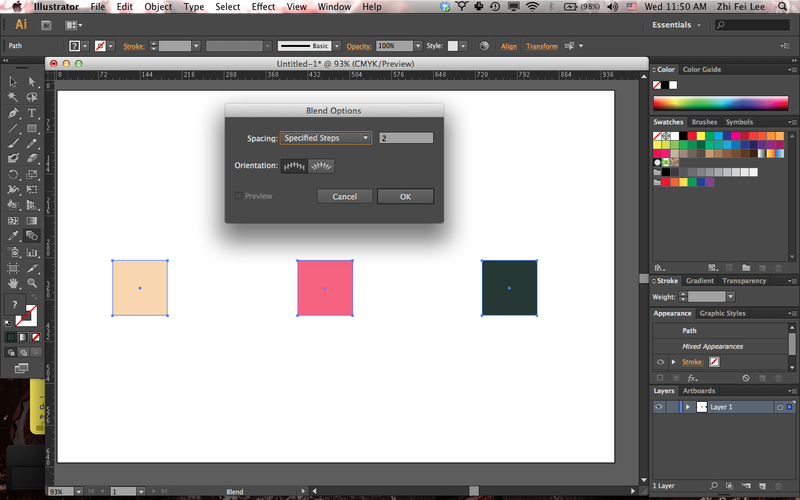 And you may notice that all the coloured squares formed from the "Blend > Make" process have turned into individual vector squares themselves. 6. 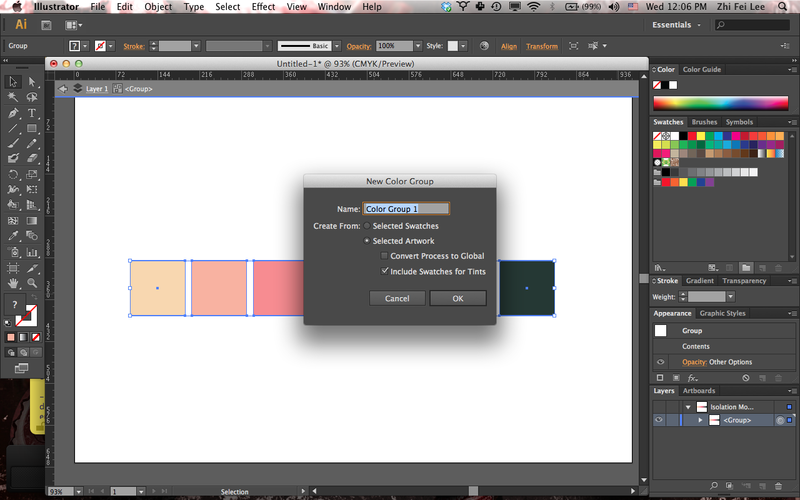 Select all the squares, go to Swatches tab, and select "New Color Group", give it a name, and press "OK". 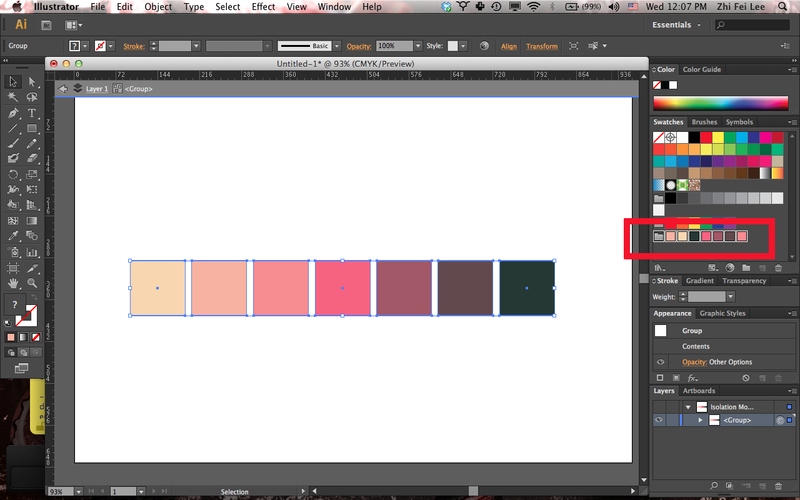 The new sets of colour palette should appear at the bottom of the Swatches tab list.